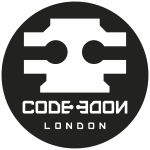 We will be organizing hackathons every Wednesday at CodeNode. Our focus is two fold: - Implementing technology to the improvement of our society, creating open source software to support charities and civic groups. - To provide an opportunity for people who have a passion for technology but have not had an opportunity to work in a sudo-profession environment. Sorry, looks like Civic Reactor haven't got any events scheduled for the moment! Our aim is to create a friendly, supportive and creative tech environment to allow professionals to get exposure to new tech and in doing so share their profession and best practice.